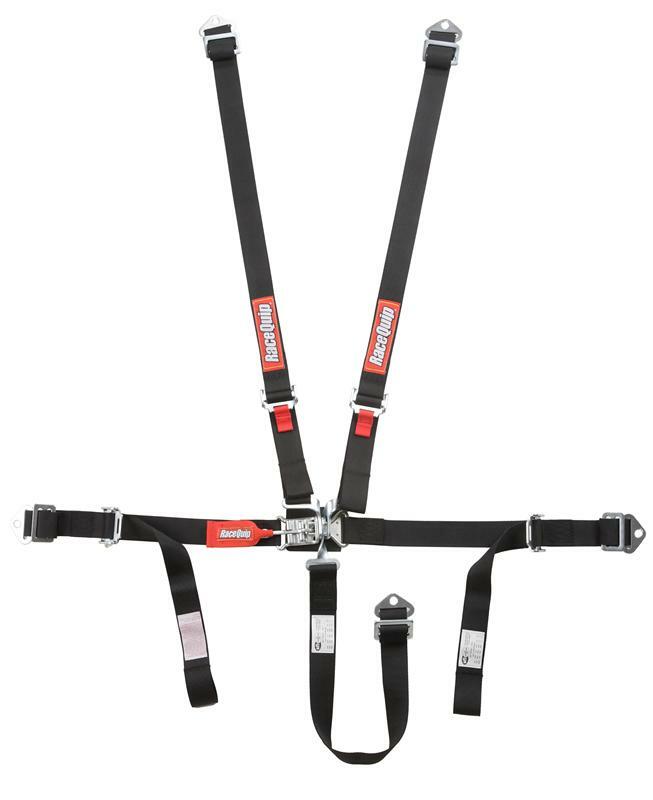 RaceQuip’s Jr. Dragster/Quarter Midget 5-Point Harness System features twin individual shoulder belts and has a SFI 16.1 Rating. This system also has a pull-up lap belt design and is double-adjustable for ease of installation. Mounting is either wrap around or bolt-in and comes with drop-forged steel hardware ends. Made of 2” premium polyester webbing. Shoulders adjust from 15” to 40” and lap belt adjusts from 22” to 60”.